45 years ago, a young deejay named Archie Patterson launched a radio show on KFIG FM in Fresno, California. Dubbed Eurock, the weekly program was devoted to psychedelic music coming out of Europe — Klaus Schulze, Amon Düül II, Can, Tangerine Dream, Faust, Guru Guru, and more –- spun by an enthusiastic Patterson, who heard in the music a cosmic resonance. It began a lifelong mission for Patterson, who soon spun the show off into a fanzine of the same name, and has continued, for four-and-a-half decades, to distribute, promote and foster discussion of progressive music from all around the world, helping to popularize German “krautrock” and introduce director Michael Mann to the electronic group Tangerine Dream, which would go on to score his first film, Thief. 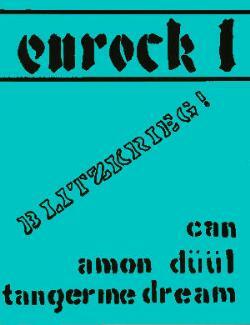 In recent years, Patterson has been busy assembling collections of Eurock books, including 2002’s Eurock: European Rock & the Second Culture and 2013’s Music & Second Culture Post Millennium: Eurock. 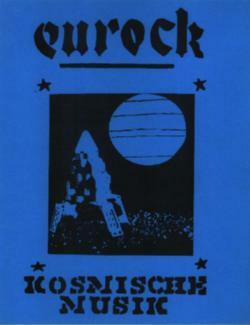 In 2015, he contributed to a massive box set by German label Vinyl On Demand, American Cassette Culture: Recordings 1971-1983, featuring examples of the electronic music distributed by Patterson’s Eurock Distribution from experimental electronic composers like Steve Roach, Don Slepian, K. Leimer, and more. These days, Patterson maintains the Eurock website, featuring interviews and podcasts, and he’s working on a film documenting the history of the show/zine/label. AD spoke to him from his basement (the “dungeon,” he calls it) about his history and guiding artistic principle. Aquarium Drunkard: In 1971, you launched the Eurock radio show on KFIG FM. What were your early playlists like? Archie Patterson: I would just pick records from my collection, so to speak that I wanted to play each week, which were all basically imported from Virgin Records’ very first micro-store…they were import-only from the European continent or cosmic French rock. Archie Patterson: [She continued] “I think I can go to sleep now too, because I have not slept for two days. I think I’ll say thank you very much, who was that anyway?” I said Popol Vuh, Hosianna Mantra, which is based on the Beatitudes out of the Bible. It’s sacred music from Germany. She said, “Thank you very much, I’m going to go to sleep now, I’ll listen next week.” I said thank you very much, glad we could help you with your child. At that point in time, I thought, man, you’re on to something here. AD: What was it about the kind of music you were playing, psychedelic, open format, ambient music from Europe, what was it about these groups and their approach that appealed to you? 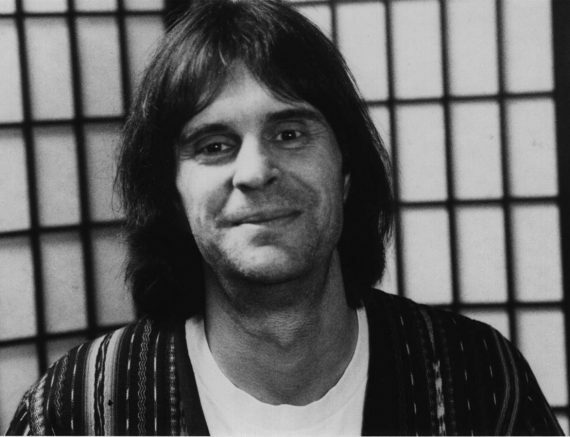 Archie Patterson: It basically took from the root of psychedelia, Haight Ashbury, San Francisco, and Pink Floyd, and what the amazing thing was it wasn’t English music so much as the German space rock, the German Krautrock, which rose from the roots of Germany, the second World War, the blitzkrieg. You could hear that sense of psychological make up in these young musicians who were probably babies at the time that was happening. The French music was entirely different; I heard a culture. The US culture, the British culture, sure, but Germany, France, Italy, Spain, and later, even Russia, was the most mind-blowing thing. I began to understand culture and music, how it evolved, how it intermingled, and that there’s something much more than what you’re hearing. There’s a history there, a power and a way to motivate and understand life from it, actually. AD: You had some interactions with the film director Michael Mann. Was that a result of the radio show? Archie Patterson: That was quite a bit down the road. I got a phone call from Michael Mann to the office of Greenworld [a music distribution company for which Patterson worked]. [It was] Michael Mann. He hadn’t done a whole lot of films up until that point…he said, “Hey, I have heard about Eurock and I am doing a film starring Jimmy Cann, and it’s sort of a comeback for Tuesday Wells, and I hear you’re involved in all this music from Europe. What I would like you to do is make me some cassettes, make two 90-minute cassettes of music you think would be related to the concept of the film Thief,” which I won’t go into that. He wanted dark, intense, powerful otherworldly music or something like this. I said, “Why don’t you give me two weeks, let me put together a couple tapes, and I’ll come into Paramount Studios and we can talk about it.” He said, okay, great. I put together two 90 minute tapes of Faust, Tangerine Dream, Can, Amon Düül II, Magma – all kinds of intense, dark music. I drove into Paramount, got on the lot, went into his office, and Jerry Goldsmith was in there too, not that I knew who he was at the time but he introduced me….He had a tape deck so he said let’s put it on and listen to it. He said huh, I like some of this. What do you think, and Goldsmith said yeah. He said, “I don’t know if it’s exactly what we want but it’s close, it’s real close. I like the guitar, I like the electronics. He asked, “So how can we get in touch with these guys?” I said, well, I have an address and phone number in Berlin. He said, well why don’t you get in touch with them and I said well, honestly, I have a new kid, and I’m working a new job. You could probably easily contact them. Well, they did. I didn’t realize I turned down a career that could have led me to something else. AD: So what inspired the transition into a magazine, an early fanzine? I thought, why not. The first issue was published on the Ides of March, 1973. I had a friend who worked in his dad’s law office as a janitor. I had a manual typewriter. I typed it all up, used whiteout to correct the errors, stenciled letters and stuff on it, gave it to him and every night while he janitored his father’s offices he would Xerox some pages for me. After about two weeks he brought them to me. I laid them out on the floor and hand collated and stapled them, took one ad out in the classifieds of Rolling Stone and the rest is history. AD: In the early ‘80s you were instrumental in the distribution and proliferation of music associated with the early cassette culture and DIY movement. Can you describe the experimental, underground DIY scene for me? Archie Pattrson: Well, it was incredibly diffuse…there was no internet, so everything was snail mail, or occasional long distance phone calls to Germany, France, or England or something like that. Basically, all I can say is, once I started the magazine and then I worked in the business of selling, then my name became known everywhere, around the entire globe, from Russia to Spain, to Australia, and I would just get packages sent to me with tapes and you know, EPs and LPs to sell, which I initially did through [companies like] Intergalactic Trading Post, Greenworld LTD, Paradox. But ultimately they wanted to sell more commercial music and I had more an interest in this cultural music. To me it was an offshoot of the ’60 revolution which descended into drugs and stupidity. The music remained pure. The music was always pure, whether it was fueled by drugs or not, it was a timeless message. That’s when I tied into that Plato quote: Musical innovation is dangerous to the state, for when the modes of music stage, the fundamental laws of the state always change with them. He didn’t mean music was a great power for better – he was warning against the power of music. The whole context for me became clear when I got that Plastic People’s album was released…This whole ‘second culture’ concept was spelled out in a document. I thought wow, the whole word is in for trouble. AD: That idea of second culture has continued to define your work from there on. Could you spell out the idea of second culture? Would love to hear more from this guy. I would have got my mind blown from all the knowledge this guy was spitting at me. Great questions. I will definitely be looking forward to the documentary.